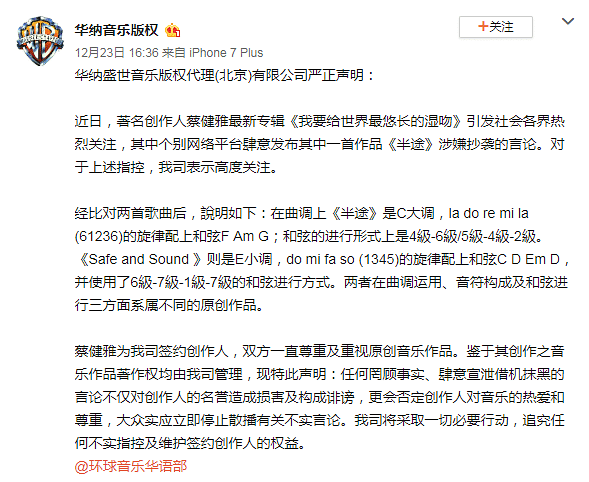 Netizens on Chinese micro-blogging site Weibo claimed last week that a song on Chua's album, titled Halfway, was similar to Swift's 2011 single, Safe And Sound, which was performed with country duo The Civil Wars. In a statement on Weibo on Sunday (Dec 23), Universal Music China said that Chua's new album was solely her own creation and no part of it was plagiarised. The company said that it has always respected the work of artistes and hopes to create an environment that does the same. 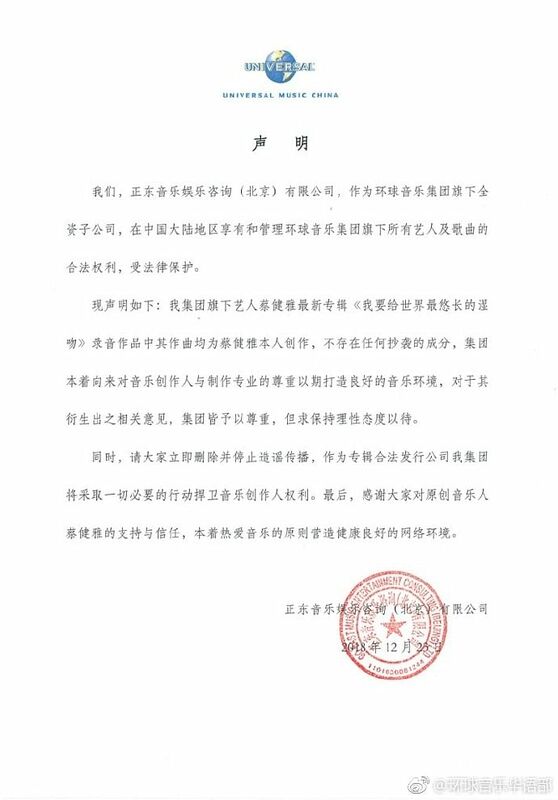 In response to the controversy, Warner/Chappell Music - which manages the copyright of Chua's works - also issued a statement on Weibo on Sunday denying that the two songs were similar. It said that a comparison of both songs show that Halfway is sung in C major while Safe And Sound is in E minor. The songs also differ in their tune, composition and chord progression. Last Friday, Chua also said on her personal Weibo account that facing accusations of plagiarism is one of the biggest nightmares for an artiste. She added that, having written hundreds of songs for over 20 years, there could be some of her works that others may remember as questionable. As for Halfway, Chua said that it was inspired by her own creation and she could not see how it was similar to Swift's Safe And Sound. She added that she has always written songs without regrets and also thanked fans for their support.